***WHOLESALE TO THE PUBLIC***YOUR CHANCE TO BUY AT DISCOUNTED AUCTION PRICES***WILL NOT LAST LONG***SAFETY CHECKED BY ONE OF OUR CERTIFIED TECHNICIANS*** Copper Red Mica 2010 Mazda CX-7 i Sport FWD 5-Speed Automatic Electronic Sport 2.5L I4 DOHC VVT 16V Recent Arrival! Odometer is 45408 miles below market average! 20/28 City/Highway MPG WHAT MAKES US DIFFERENT? We select only the best TRADES.So rest assured you will be purchasing a high quality pre-owned vehicle at amazing prices. THAT IS WHAT MAKES US DIFFERENT. 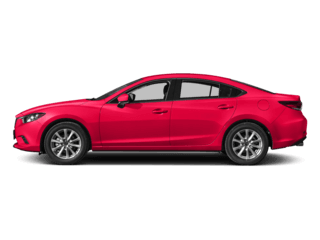 ***NATIONWIDE LIFETIME WARRANTY***UNLIMITED TIME AND MILES***BUY WITH CONFIDENCE AT NAPLES CDJR / MAZDA***TAKE THE WORRY OUT OF BUYING A PRE-OWNED VEHICLE***FULLY SERVICED BY ONE OF OUR CERTIFIED TECHNICIANS***BACKUP CAMERA***HARD TO FIND HATCHBACK*** CARFAX One-Owner. Clean CARFAX. Snowflake White Pearl Mica 2016 Mazda Mazda3 i Sport FWD 6-Speed Automatic SKYACTIV®-G 2.0L 4-Cylinder DOHC 16V Recent Arrival! 30/41 City/Highway MPG Awards: * 2016 KBB.com 10 Best Sedans Under $25,000 WHAT MAKES US DIFFERENT? We select only the best TRADES.So rest assured you will be purchasing a high quality pre-owned vehicle at amazing prices. THAT IS WHAT MAKES US DIFFERENT. ***CLEAN CAR FAX***NO ACCIDENTS***AUTOMATIC TRANSMISSION***HATCHBACK***FULLY SERVICED BY ONE OF OUR CERTIFIED TECHNICIANS*** Clean CARFAX. Jet Black Mica 2014 Mazda Mazda3 i Touring FWD 6-Speed Automatic SKYACTIV®-G 2.0L 4-Cylinder DOHC 16V Recent Arrival! 30/40 City/Highway MPG Awards: * 2014 KBB.com 10 Tech-Savviest Cars Under $20,000 * 2014 KBB.com 10 Coolest New Cars Under $18,000 * 2014 KBB.com 5-Year Cost to Own Awards WHAT MAKES US DIFFERENT? We select only the best TRADES.So rest assured you will be purchasing a high quality pre-owned vehicle at amazing prices. THAT IS WHAT MAKES US DIFFERENT. 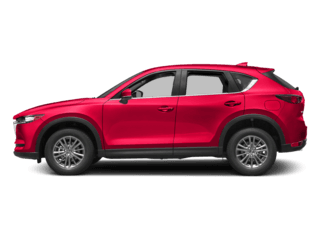 ***NATIONWIDE LIFETIME WARRANTY***UNLIMITED TIME AND MILES***BUY WITH CONFIDENCE AT NAPLES CDJR / MAZDA***TAKE THE WORRY OUT OF BUYING A PRE-OWNED VEHICLE***FULLY SERVICED BY ONE OF OUR CERTIFIED TECHNICIANS*** CARFAX One-Owner. Clean CARFAX. Blue Reflex Mica 2017 Mazda Mazda6 Touring FWD 6-Speed Automatic SKYACTIV®-G 2.5L I4 DOHC 16V Recent Arrival! 26/35 City/Highway MPG Awards: * 2017 IIHS Top Safety Pick+ * 2017 KBB.com Brand Image Awards WHAT MAKES US DIFFERENT? We select only the best TRADES.So rest assured you will be purchasing a high quality pre-owned vehicle at amazing prices. THAT IS WHAT MAKES US DIFFERENT. ***CLEAN CAR FAX***NO ACCIDENTS***GPS NAVIGATION***LEATHER SEATS***BACKUP CAMERA***BOSE SOUND SYSTEM*** Clean CARFAX. Crystal White Pearl Mica 2013 Mazda CX-9 Grand Touring FWD 6-Speed Sport Automatic 3.7L V6 DOHC 24V Recent Arrival! Awards: * 2013 KBB.com 5-Year Cost to Own Awards WHAT MAKES US DIFFERENT? We select only the best TRADES.So rest assured you will be purchasing a high quality pre-owned vehicle at amazing prices. THAT IS WHAT MAKES US DIFFERENT. 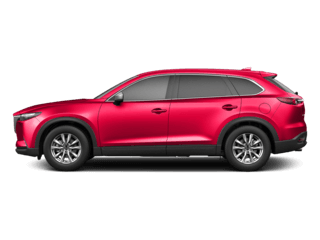 ***NATIONWIDE LIFETIME WARRANTY***UNLIMITED TIME AND MILES***BUY WITH CONFIDENCE AT NAPLES CDJR / MAZDA***TAKE THE WORRY OUT OF BUYING A PRE-OWNED VEHICLE***FULLY SERVICED BY ONE OF OUR CERTIFIED TECHNICIANS***BACKUP CAMERA***BLUETOOTH*** CARFAX One-Owner. Clean CARFAX. Snowflake White Pearl Mica 2016 Mazda Mazda3 i Sport FWD 6-Speed Automatic SKYACTIV®-G 2.0L 4-Cylinder DOHC 16V Recent Arrival! Odometer is 30003 miles below market average! Awards: * 2016 KBB.com 10 Best Sedans Under $25,000 WHAT MAKES US DIFFERENT? We select only the best TRADES.So rest assured you will be purchasing a high quality pre-owned vehicle at amazing prices. THAT IS WHAT MAKES US DIFFERENT. 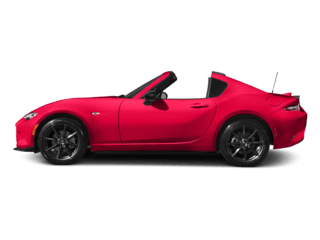 ***NATIONWIDE LIFETIME WARRANTY***UNLIMITED TIME AND MILES***BUY WITH CONFIDENCE AT NAPLES CDJR / MAZDA*** CARFAX One-Owner. Jet Black Mica 2016 Mazda CX-5 Sport FWD 6-Speed Automatic SKYACTIV® 2.5L 4-Cylinder DOHC 16V Recent Arrival! Odometer is 4488 miles below market average! 26/33 City/Highway MPG WHAT MAKES US DIFFERENT? We select only the best TRADES.So rest assured you will be purchasing a high quality pre-owned vehicle at amazing prices. THAT IS WHAT MAKES US DIFFERENT. 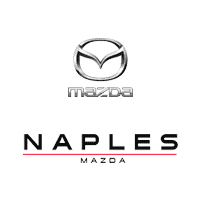 ***NATIONWIDE LIFETIME WARRANTY***UNLIMITED TIME AND MILES***BUY WITH CONFIDENCE AT NAPLES CDJR / MAZDA***TAKE THE WORRY OUT OF BUYING A PRE-OWNED VEHICLE***FULLY SERVICED BY ONE OF OUR CERTIFIED TECHNICIANS*** ***CLEAN CAR FAX***NO ACCIDENTS***BACKUP CAMERA***BLINDSPOT MONITOR*** Clean CARFAX. Deep Crystal Blue Mica 2016 Mazda CX-5 Touring FWD 6-Speed Automatic SKYACTIV® 2.5L 4-Cylinder DOHC 16V Recent Arrival! Odometer is 2658 miles below market average! 26/33 City/Highway MPG WHAT MAKES US DIFFERENT? We select only the best TRADES.So rest assured you will be purchasing a high quality pre-owned vehicle at amazing prices. THAT IS WHAT MAKES US DIFFERENT. ***NATIONWIDE LIFETIME WARRANTY***UNLIMITED TIME AND MILES***BUY WITH CONFIDENCE AT NAPLES CDJR / MAZDA***TAKE THE WORRY OUT OF BUYING A PRE-OWNED VEHICLE***FULLY SERVICED BY ONE OF OUR CERTIFIED TECHNICIANS*** ***CLEAN CAR FAX***ONE OWNER***NO ACCIDENTS***BACKUP CAMERA***SUNROOF***LEATHER SEATS***BOSE SOUND SYSTEM*** CARFAX One-Owner. Clean CARFAX. 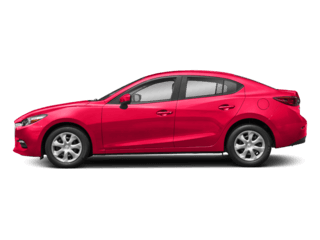 Soul Red Metallic 2016 Mazda Mazda3 s Grand Touring FWD 6-Speed Automatic 2.5L 4-Cylinder DGI DOHC Recent Arrival! Odometer is 17221 miles below market average! Awards: * 2016 KBB.com 10 Best Sedans Under $25,000 WHAT MAKES US DIFFERENT? We select only the best TRADES.So rest assured you will be purchasing a high quality pre-owned vehicle at amazing prices. THAT IS WHAT MAKES US DIFFERENT. ***NATIONWIDE LIFETIME WARRANTY***UNLIMITED TIME AND MILES***BUY WITH CONFIDENCE AT NAPLES CDJR / MAZDA***TAKE THE WORRY OUT OF BUYING A PRE-OWNED VEHICLE***FULLY SERVICED BY ONE OF OUR CERTIFIED TECHNICIANS***CLEAN CAR FAX***ONE OWNER***NO ACCIDENTS***TECHNOLOGY PACKAGE***MAZDA RADAR CRUISE CONTROL***GPS NAVIGATION***SUNROOF***BOSE SOUND SYSTEM***HAS ALL THE OPTIONS*** CARFAX One-Owner. Clean CARFAX. Deep Crystal Blue 2016 Mazda Mazda6 i Grand Touring FWD 6-Speed Automatic 2.5L 4-Cylinder DOHC Recent Arrival! Odometer is 3633 miles below market average! Awards: * 2016 KBB.com Best Buy Awards Finalist WHAT MAKES US DIFFERENT? We select only the best TRADES.So rest assured you will be purchasing a high quality pre-owned vehicle at amazing prices. THAT IS WHAT MAKES US DIFFERENT. ***NATIONWIDE LIFETIME WARRANTY***UNLIMITED TIME AND MILES***BUY WITH CONFIDENCE AT NAPLES CDJR / MAZDA***TAKE THE WORRY OUT OF BUYING A PRE-OWNED VEHICLE***FULLY SERVICED BY ONE OF OUR CERTIFIED TECHNICIANS***GPS NAVIGATION***SUNROOF***BACKUP CAMERA***BOSE SOUND SYSTEM*** Clean CARFAX. 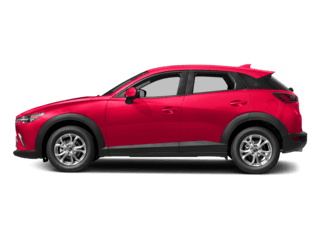 Soul Red Metallic 2017 Mazda CX-3 Grand Touring FWD 6-Speed Automatic SKYACTIV®-G 2.0L 4-Cylinder DOHC 16V Recent Arrival! Odometer is 9131 miles below market average! 29/34 City/Highway MPG Awards: * 2017 IIHS Top Safety Pick+ * 2017 KBB.com Brand Image Awards WHAT MAKES US DIFFERENT? We select only the best TRADES.So rest assured you will be purchasing a high quality pre-owned vehicle at amazing prices. THAT IS WHAT MAKES US DIFFERENT. ***NATIONWIDE LIFETIME WARRANTY***UNLIMITED TIME AND MILES***BUY WITH CONFIDENCE AT NAPLES CDJR / MAZDA***TAKE THE WORRY OUT OF BUYING A PRE-OWNED VEHICLE***FULLY SERVICED BY ONE OF OUR CERTIFIED TECHNICIANS***CLEAN CAR FAX***ONE OWNER***NO ACCIDENTS***SUNROOF***BACKUP CAMERA***9 SPEAKER SOUND SYSTEM*** Clean CARFAX. Sonic Silver Metallic 2018 Mazda Mazda3 Grand Touring FWD 6-Speed Automatic SKYACTIV® 2.5L 4-Cylinder DOHC 16V Recent Arrival! Odometer is 5843 miles below market average! 27/36 City/Highway MPG WHAT MAKES US DIFFERENT? We select only the best TRADES.So rest assured you will be purchasing a high quality pre-owned vehicle at amazing prices. THAT IS WHAT MAKES US DIFFERENT. ***NATIONWIDE LIFETIME WARRANTY***UNLIMITED TIME AND MILES***BUY WITH CONFIDENCE AT NAPLES CDJR / MAZDA*** ***CLEAN CAR FAX***ONE OWNER***NO ACCIDENTS***TECHNOLOGY PACKAGE***GPS NAVIGATION***SUNROOF***BACKUP CAMERA***BLINDSPOT MONITOR***FULLY SERVICED BY ONE OF OUR CERTIFIED TECHS*** CARFAX One-Owner. Clean CARFAX. Blue Reflex Mica 2016 Mazda CX-5 Grand Touring FWD 6-Speed Automatic SKYACTIV® 2.5L 4-Cylinder DOHC 16V Recent Arrival! Odometer is 22299 miles below market average! 26/33 City/Highway MPG WHAT MAKES US DIFFERENT? We select only the best TRADES.So rest assured you will be purchasing a high quality pre-owned vehicle at amazing prices. THAT IS WHAT MAKES US DIFFERENT. 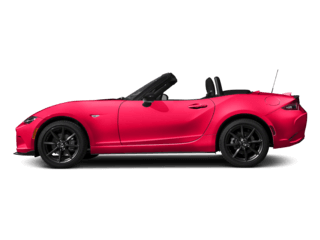 ***NATIONWIDE LIFETIME WARRANTY***UNLIMITED TIME AND MILES***BUY WITH CONFIDENCE AT NAPLES CDJR / MAZDA*** CARFAX One-Owner. Clean CARFAX. Sonic Silver Metallic 2017 Mazda CX-5 Grand Touring FWD 6-Speed Automatic SKYACTIV® 2.5L 4-Cylinder DOHC 16V Recent Arrival! 24/31 City/Highway MPG Awards: * 2017 KBB.com Brand Image Awards WHAT MAKES US DIFFERENT? We select only the best TRADES.So rest assured you will be purchasing a high quality pre-owned vehicle at amazing prices. THAT IS WHAT MAKES US DIFFERENT.